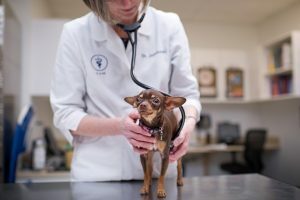 Why does my pet need a physical exam before receiving vaccines? This comes up a fair bit. Pet owners question the necessity of a physical exam when a pet is due for vaccines. After all, their pet is perfectly healthy and they’d just as soon skip the exam. For some people, it’s about saving time, money, and/or stress on a pet. Others genuinely feel their pet is healthy and that an exam simply isn’t necessary. We get that. But there’s no getting around a physical exam if your pet needs vaccinations. And for good reason. First things first. 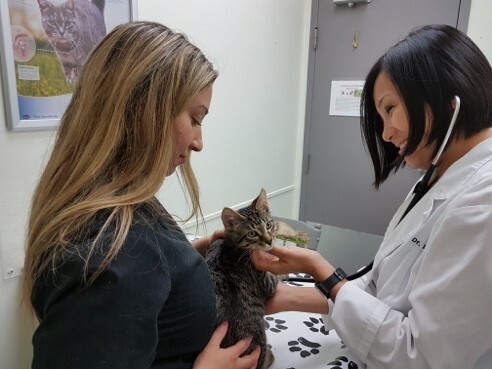 Ontario law requires our veterinarians to have a veterinary-client-patient relationship before they can administer medication of any kind, including vaccines. A physical exam that’s been performed within a year is the minimum we need to establish and maintain that relationship at our hospital. 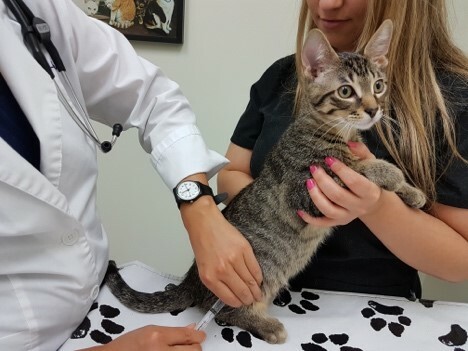 If we haven’t seen your pet within a year, he/she will need an exam before we can vaccinate. Fair enough. The law is the law. But what if we have seen a pet within the year – is that exam still necessary? Yes. Without question. And without exception. Regardless of how recently we’ve seen that pet. Here’s the thing. 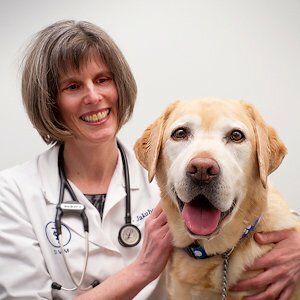 No matter how healthy a pet owner thinks a pet is, there’s no substitute for the medical training and experience a veterinarian brings to bear in assessing a pet’s eligibility for a vaccine by reviewing a pet’s medical record, obtaining a history from a client, and performing a full physical – head to tail, top to bottom, inside (to the extent we can) and out. A new problem can crop up at any time, and while a pet may seem perfectly healthy to a pet owner, pets are notoriously good at hiding health issues from their families (it’s a hard-wired instinct that plays out routinely in companion animals). There isn’t a veterinarian at our hospital who hasn’t at one time or another delayed vaccinating a pet that a pet owner thought was perfectly healthy but in fact wasn’t healthy enough to receive a vaccine. We apply those same standards to every pet, including those owned by our own staff members. No wiggle room here. Vaccinations require a physical exam because it’s in everyone’s best interest.